According to technology news website Venture Beat, a specific provision in the Cable Television Protection and Competition Act, which requires cable companies to provide unencrypted basic cable may soon be made obsolete. 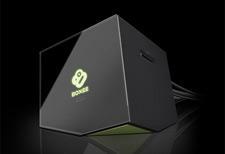 This spells bad news for set-top box makers like Boxee. • See the Venture Beat article on their website. The rule change that the cable companies are proposing would see basic cable go from being unencrypted to encrypted. For the consumer this means that a set-top box would become necessary for any kind of cable television, which is usually provided by the cable company for a monthly fee. The Federal Communications Commission or FCC has not made a decision, but they are expected to make one soon. The way this affects Boxee has to do with the company's Live TV Stick. Boxee makes set-top boxes that allow users to stream internet content to their televisions. The Live TV Stick is an add-on to the box that allows the unit to pick up over-the-air HD signals for live television channels for free. But if the signals become encrypted, this add-on will become useless. The company went before the FCC to propose that this change would not only affect them. Millions of consumers would be forced to rent set-top boxes. Startup companies would have a much harder time succeeding in the market, which would harm competition and innovation. No decision has been made as of this writing, but one is expected in the next few weeks.